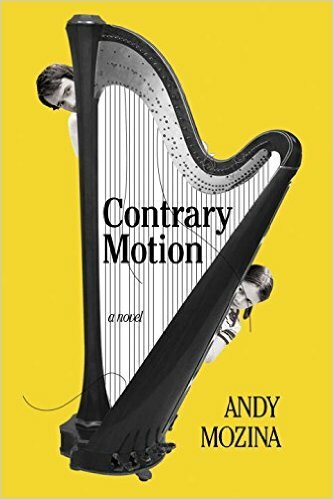 Chelsea, MI — The Q&A portion of Andy Mozina’s reading at The Droll Unicorn Book Shop degenerated into a shouting match between Mozina and several members of his audience, leaving onlookers in tears and prompting a petition to have Mozina depublished. Though what exactly caused the meltdown is unclear, several observers noted that Mozina became agitated after being asked whether he wrote longhand or on a computer. Sporting a fake beard dotted with crumbs and matted with dripped sauces, Mozina derided attempts to get him to stop his rant or to respond to questions about how to get an agent and whether self-publishing was a legitimate avenue for aspiring authors. “You don’t own me!” he shouted at one point. In his second appearance without his personal chef and his first since a brief hospitalization for “nervous exhaustion,” Mozina appeared disoriented at times, addressing the audience as “my fellow Martians” and telling ten minutes of knock-knock jokes before reading a few pages from Quality Snacks and abruptly calling for the ill-fated Q&A. Grand Rapids, MI — The rigors of a book tour that has brought both high sales and high drama apparently caught up to Andy Mozina at Schuler’s Books in Grand Rapids Saturday afternoon. After thanking his host for her “shamefully generous introduction,” Mozina mumble-sang the opening bars of “The Star Spangled Banner,” then suddenly tipped backwards, bounced off a table covered with books, spun sideways, and fell face down on the floor. Under questioning from paramedics, Mozina confessed to eating a “half pound, maybe more” of peanut M & M’s just a few minutes before addressing his audience. In his pockets were several “buy one get one free” coupons for 64-ounce bags of Twizzlers. Mozina’s appearance on the sidewalk outside the Clinton Public Library in Clinton, MI, has been postponed pending his return to health. There were several reports that Mozina had been quarreling with his personal chef in the days leading up to his collapse. The heavily disguised mystery chef, a fixture at Mozina’s readings up to this point, was not a part of Mozina’s entourage at the Grand Rapids reading, sparking speculation the two had had a falling out over Mozina’s increasingly unhealthy diet. In a voice distorted by a mouthpiece that alters the timbre and inflections of the speaker, the chef had been overheard yelling “you’re not taking me down with you!” in the parking lot of a KFC in East Lansing just days earlier. Kalamazoo, MI — In a wide-ranging interview with local media—the first he’s granted since his book tour began—Andy Mozina admitted to being “incredibly humbled” by the success of his new book of short stories, QUALITY SNACKS. Mozina took a long sip from a tumbler of pineapple-flavored vodka and gestured vaguely at the small tree standing between his sidewalk and the street. Below is a heavily abridged version of “Dogs I Have Known,” which I read at the formal launch for QUALITY SNACKS in Detroit on May 21st. This text accompanies the “Dogs I Have Known” video and indicates where that video played in the presentation. Thanks to all who sent me dog photos and video! It is said that dogs are good. People with dogs live longer, are happier, and are less likely to have their homes burglarized. I have never owned a dog. This is in part because I am afraid of them, but also because I do not want to take care of an animal. My daughter Amanda would love a dog, but I will never buy her one. So I guess you know what kind of person I am. The dog has his memories, a street where trees don’t grow very tall. South Milwaukee. Small houses with complicated rooflines: dormers, additions, awnings, and porches. Gutters sag, downspouts dangle, shingles grow moss. Inside are dining rooms with old built-ins, upstairs bedrooms with slanted ceilings, tiny closets shaped like mathematics problems. On the corner, stands a tavern, also like a house, with the bar on the first floor and a family–my family–upstairs. The dog was a nipper, yet loved by all. At first communions, he was always invited into the picture, sitting on his haunches by the girl in her white dress or the boy in his little suit. I have such a Polaroid of Max, the dog, with Ginnie Lee, my first love. The closest I have come to being mauled and killed by a dog was at a Thanksgiving party thrown by my brother-in-law and his new wife. It was a strange time for me. I had been experiencing a high level of conflict in the workplace. There was a particular set-to I had in a conference room with a colleague who was advocating, to my view, a manifestly losing legal strategy in a case she and I were on together. The problem occurred when she did not see something I felt was obviously apparent and true–and still think is obviously apparent and true. But she would not see it, and my voice rose and rose, and neither of us could stop. The managing partner personally escorted me to HR, where I was debriefed about my behavior, which was apparently part of a pattern. I was put on a sort of probation, and the decision about whether I would be a partner was postponed. My wife, Beth, did not appreciate these developments. “I’m wondering about you,” she said. “What are you wondering?” I asked. She never told me, exactly. We all started barking, and our fascinating neighborhood enemy, John Nelson, retreated to his sandbox and methodically dug between his knees. We congregated on the basketball court of Divine Mercy, which was close to his lot line. I turned to Ginnie Lee, my first love and next-door neighbor, and tried to kiss her ear, but it was a moving target. “Cut that out,” she said. How to go about being Ginnie’s boyfriend was not clear to me. I didn’t like hanging out at her house because of her dog. Max, her smallish mutt, had almost been killed by Dozer, John Nelson’s Great Dane. A few months later, Dozer was hit by a car and killed. the long, customized fuse of his M-80 was burning. “Eat me!” John yelled, and he hurled his bomb toward the basketball court. Mesmerized, I stood and watched while the others scattered. The M-80 landed; I calculated ten seconds left on the fuse, enough time to throw it back.Even as I bent to grab it, wild emergency shouting went off in my blood. Nevertheless, very conscious of Ginnie watching me, I picked up the M-80. I realized I was wrong about how much time was left; I spastically shoveled the M-80 into the air. It arced toward Ginnie, who shrieked. I heard the lightning crack, and Ginnie convulsed and reeled. I ran to her. She was bleeding from her ear. There were powder burns on the side of her face. She looked at me with her mouth open, but no sound was coming out. Having lost my wife and, eventually, my job, I searched the important aspects of human experience for new terms by which I could judge myself A-OK. I came up with two. One of them was money: I had more money than most other people, and if I could secure another job I would have even more. The other was trying to make myself a better person. It is said that money and soul-improving activities don’t mix, but when I failed at being a better person, I could fall back on having money. This in turn gave me the strength I needed to renew my attempts to be a better person. Karen, a law school friend, took pity on me and invited me into her mediation practice. I am not good at seeing or hearing myself. The thing that helps people know how they’re coming across to other people doesn’t work very well in me. It’s one of the reasons I fear dogs: because they might see what I don’t want to show. To this day, I have no idea what I did to make Karen say those things to me. When I was signing for the bill, “All Along the Watchtower” was playing. It happens to be my favorite song. It seemed clear during the trippy guitar solo that I would mediate and have stronger relationships and become a better person. And also make money. After training, I was assigned to Wilbur Tesch, a former US marine and hardware store manager who was slowly dying from C.O.P.D. About once a week, I would provide respite for his wife, Caroline, so she could run errands for a few hours. Wilbur was watching The Price Is Right in a brown leather recliner in the family room. He was wearing oxygen tubes. His left arm trembled and was mottled with wine-colored bruises. Still, he rose and shook my hand firmly. The following week the hospice nurse came and before I knew it she let Rufus out, and the week after that, Caroline came back early. Then one day while Wilbur and I were watching a fishing program, Rufus began to whine intermittently, and by the time a reindeer-hunting program came on, Rufus was whining piteously and continuously to be let out. His whine was high-pitched, loud, coercive; it shredded my consciousness. I rubbed my damp palms on my knees. I thought Wilbur might turn to me at any second and say, “Could you please let him out?” Instead, Wilbur repeatedly tried to shush Rufus, but the dog’s whining found an extra gear, an even sharper pitch. Wilbur tottered. I sprang from the sofa and dashed to him. He tipped in my direction. I went to one knee, as if fielding a grounder, and took his falling weight against my shoulder. But he was heavier than I thought, and I sprawled backward, and Wilbur collapsed onto me. Dogs circle me in fluorescent moonlight, in some rectangular South Milwaukee backyard. Their unruly loping. Their narrow mouths and oversize teeth. The thing I would never do, the thing I am afraid of, barks at me. I have the ability to hear dogs barking at great distances, in any weather. Every dog confirms for me that I am not near it. My daughter is ten now and she calls occasionally to renew her pleas. I tell her, if your mother can handle a dog at her apartment, I won’t stop her, but I can’t have a dog over here. “Dad, you hate me,” Amanda says. We hang up with something between us, I’m afraid. Wilbur is of course dead now, but how did things turn out with Rufus? Did I ever wrestle with him in the backyard? Did I ever fill his pool with a hose? Did we play fetch? He was purebred Doberman, a beautiful dog, trust me. Once, I simply put the back of my right hand against his cage, and he licked my fingers through the bars. Plainwell, MI — On Friday evening a public reading by Andy Mozina at Hometown Used Books devolved into name calling and fisticuffs as an argument between two audience members as to who was a bigger fan of the author ended only after a life-sized cardboard cutout of Mr. Mozina had been destroyed and police separated the two zealous fans. Carl Hoffman, a retired florist from Dowagiac, MI, and Arnold Brecht, a freelance security officer from Allegan, MI, clashed during Mozina’s reading when Hoffman repeatedly exclaimed, “That’s fantastic” or “That’s brilliant,” within earshot of Mr. Brecht who countered in a loud voice that he liked those parts better than Mr. Hoffman did. The intense confrontation turned farcical when each man tried to take the cardboard cutout of Mr. Mozina stationed near the book-signing table. Their struggle for control of the cutout predictably ended when the figure was torn in half. As the two men were led away by police, Mozina repeatedly reminded disturbed onlookers to buy his book. KALAMAZOO — On a rainy Monday afternoon, Andy Mozina did a reading and a Q&A at Toddler Town, a daycare center in Kalamazoo, in an effort to publicize his new book, QUALITY SNACKS. While the children napped on mats, chased each other around an oval of brown carpet, or made chains out of slips of orange construction paper, Mozina read from his collection and told the youngsters a little bit about how he got started as a writer. During the Q&A, one child asked Mozina what he was doing there. Mozina patiently explained the concept of a book tour and how he felt compelled to bring his work to the masses despite his ambivalence about the commodification of art. The girl did not seem to listen to Mozina’s answer to her question. The children were required to enter their names in a random drawing to win “a special prize,” which turned out to be an autographed copy of QUALITY SNACKS. The winner, Malcolm Boudreau, age four, later wedged the book behind a radiator. Mozina toured the facility and approved of the way the teachers were instructing and caring for the children. On his way out, Mozina urged the children to publish their writings as well. KALAMAZOO (QSP) — Today Andy Mozina announced the principles that will govern his diet on the upcoming book tour for his new story collection, QUALITY SNACKS. “I’m focusing on lean proteins, vegetables, and an experimental line of synthetic foods based on the original formula for Hawaiian Punch. “In my thinking and living, I try to combine the best of the natural world and the artificial world—and I think my diet does that,” Mozina explained. Mozina also refused to reveal the name of the personal chef who will travel with him during the tour. The chef will accompany him to each event but will wear a mask and various prosthetics to conceal the chef’s identity. At critical moments, the chef will wear special oven mitts designed by Mozina. The two sides of the mitts are imprinted with images of the front and back covers of QUALITY SNACKS, which will be released May 1st.